February 2009's top seller was once again Marvel's Amazing Spider-Man #583, the top seller for 2009 with estimated Diamond year-end orders of 530,500 copies. Sales for the issue were estimated at 148,778 copies for the month. Check out the detailed analysis of the month's sales here — and sales chart here. February 2005's top-seller was Marvel's New Avengers #3 with Diamond first-month orders of approximately 149,000 copies. This marked the third consecutive month that New Avengers was at the top of the rankings. Check out the sales chart here. 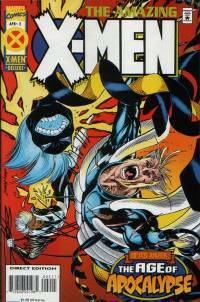 February 2000's top-seller was Uncanny X-Men #379, with estimated Diamond orders of more than 108,400 copies. Marvel's Punisher relaunch proved one of the better sellers in what was, overall, a down month near the very bottom of the industry's post-1993 recession. Check out the sales chart here. February 1995's top seller at Diamond and at Capital City Distribution was Marvel's Amazing X-Men #2, continuing the "Age of Apocalypse" storyline. Capital reported preorders of 89,775 copies. The parent title's Statement of Ownership reports monthly sales averaging at 332,889 copies; this one issue was likely higher. 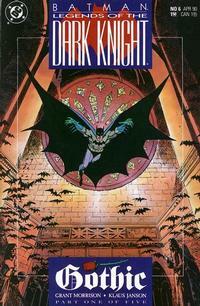 February 1990's top seller at Diamond and Capital City was Legends of the Dark Knight #6, beginning Grant Morrison's "Gothic" storyline. Capital's orders on the issue were 106,650 copies; overall, sales were likely in the 400,000- to 500,000-copy range. The novelty "compuer-generated" graphic novel Batman: Digital Justice was the top-selling trade at Capital City, with orders of 32,500 copies. Capital City reported sales for 308 comic books and 35 trade paperbacks in the month. The average cover price for new comics was $2.04, and the average comic book actually ordered cost $1.54. All told, Capital reported selling 2.85 million comic books for $4.38 million. Trade sales totaled $1.17 million, mostly copies of Digital Justice. February 1985's top seller at Capital City was Uncanny X-Men #194, which sold about 6% more copies at Capital City than the slightly more expensive Crisis on Infinite Earths #3.